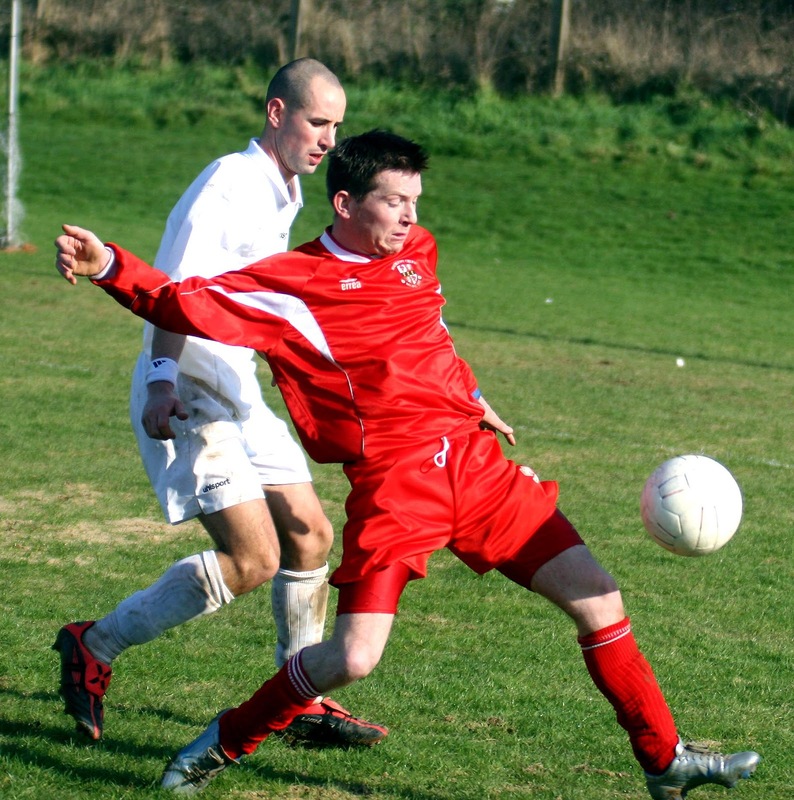 A 14th minute rocket by inter-league player Mick Kenneally put Leeside on their way to a comfortable 3-0 win over Maymount Celtic at Little Island on Sunday morning. 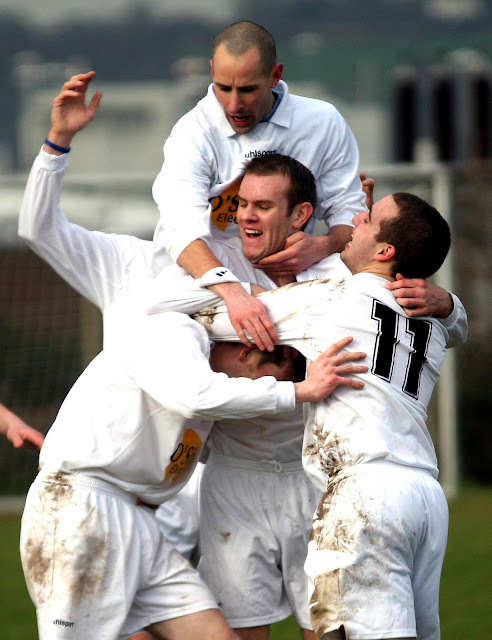 Maymount then had their keeper sent off and the dominant home team scored twice after the break to book their place in the last eight and that entails an away date with either Drinagh Rangers or Ballyvolane. It was a beautiful morning after overnight frost but Maymount were hardly in a position to appreciate that as their game plan was thrown into disarray in the opening half. Defender Alan King limped out of the action as early as the 7th minute and they were a goal down when their keeper was red carded after a last man tackle just outside the box in the 40th minute. 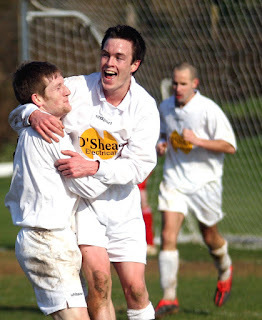 The opening goal came after Niall McCarthy’s foul on Derek Delea. Mick Looney’s free produced a corner, which was headed on at the near post by Joe Lyons. It hit the bar at the other side and rebounded to Delea who kept the move alive and then the ball broke back to Kenneally and his thundering shot flew high past Deasy. Chances were few and far between for the next half hour or so. Kenneally did have the ball in the net again in the 34th minute but his header, again from a Looney free, was ruled out for offside. Maymount were finding it hard to get through against Conor O’Leary and company but Eric Fleming and Damien Morey were finding some gaps up their left and Maymount were still well in it at this point. Fleming forced a free in the 40th minute but Maymount made a hash of it and Leeside broke quickly. Delea’s pass sent Alec Nodwell clear and he was brought down about twenty yards from goal by keeper Deasy who was promptly sent off and a free awarded. Jonathan O’Callaghan took over between the sticks but wasn't troubled by Delea’s strike from the dead ball. O’Callaghan would have a busy second half as Leeside crew went for the kill. 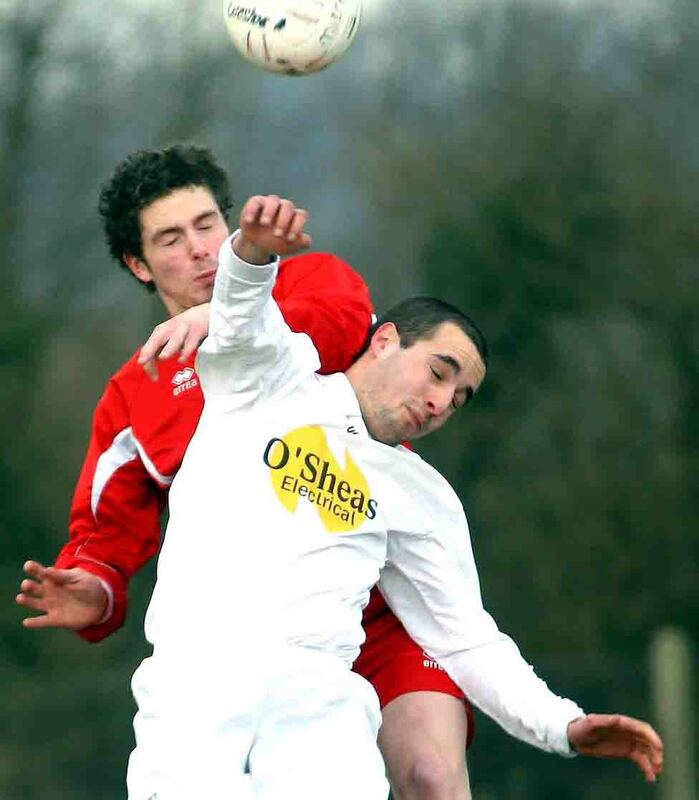 He saved well in a one to one with midfielder Eddie Byrne who had galloped onto a Joe Lyons pass in the 50th minute. The stand-in keeper though was lucky in the next minute when Mick Looney took a advantage of hesitancy in the Maymount box to cross a low ball but it was just inches away from the incoming Lyons. Maymount were allowed settle for a short spell and began to get a few shots in. 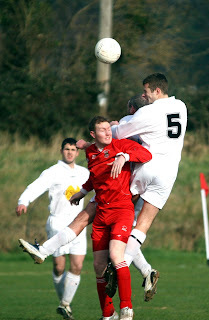 Fleming was only inches away with a 55th minute free kick but generally the traffic was towards O’Callaghan’s goal. In the 57th minute Lyons, after a return ball from Andy Sang, hit the bar and Kennealy’s angled return was deflected for a flag kick which was well punched clear by the keeper. Luck ran out for O’Callaghan in the 62nd minute. His defence was split open by a classy move and Lyons had an easy finish off a neat pass across the six-yard box by Delea. 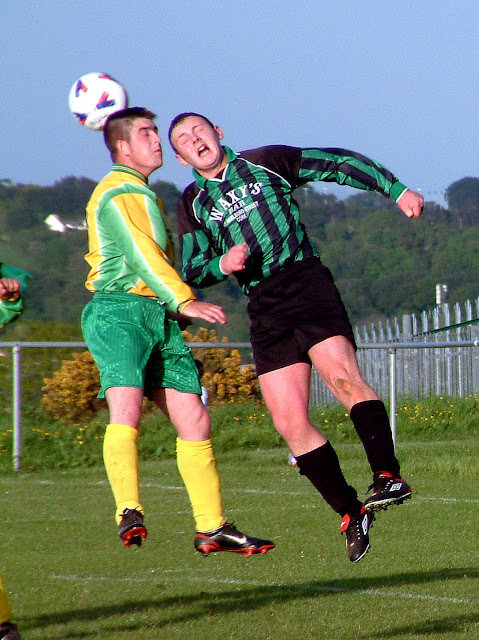 Fleming then had a couple of shots blocked and Gary Leahy saw a long-range effort hit the Leeside bar. But that was about the last effort of note from the short-handed visitors. O’Callaghan continued to make some good saves but was beaten again in the 82nd minute. Delea won back the ball in midfield and started the move. Sang got in a terrific cross from the left hand touchline. Aherne kept his eye on it and, despite the attentions of the keeper and Fenton, tapped the dropping ball in from close range to make it 3-0 to the Gary Tobin managed homesters. Leeside: Michael Coughlan, Ger O’Mahony, Mick Looney, Conor O'Leary, Jason Keegan (captain), Joe Lyons, Mick Kenneally, Eddie Byrne, Colin Aherne, Derek Delea and Alec Nodwell. Subs used: Andrew Sang for Nodwell (55th minute), Garth Linehan for Lyons (73rd) and Wayne Barrett for O’Mahony (82nd). Maymount Celtic: Stephen Deasy, Anthony Fenton, Derek O’Driscoll, Jonathan O’Callaghan, Niall McCarthy, Alan King, Stephen McAuliffe (captain), Lloyd Leahy, Damien Morey, Gary Leahy and Eric Fleming. Subs used: Ian Cullinane for King (7th minute, injured), Ian Fleming for McCarthy (51st) and Jamie Meehan for O’Driscoll (65th). Referee: Keith Callanan; assistants: Edwin McNally and Larry Buckley.